Does anyone add someone or is the list complete, please ? Thanks for this name. According to Aces High Kaj Birksted was at the head of Bentwaters Wing but probably as CO, and Mike Donnet as WC Flying according to his biography. 2) in the Bentwaters Wing from 16 March 1945. In between he was Operational Planner in the 11 Group Combined Control Center, Uxbridge. W/C Christie was also Wingco Flying 150 Wing at Andrewsfield before going to Hunsdon. The Bentwaters Wing was divided into "A" and "B" Wings, and Donnet and Birksted were both Wingco Flying in their respective Wings. There were several Norwegins that were Wingco Flying in the North Weald- and 132 (Norwegian) Wings. Luck and Superstition Wins Every Time! Thank you for clarifying. Do you know if Birksted was W/C of the A or the B Wing of Bentwaters Wing. BTW http://www.revi.cz/images/covers/60/...aterswingu.jpg shows several of Bentwaters leaders in one of my Revi articles. Stein, a very contributory explanation. How was your Kew visit ? 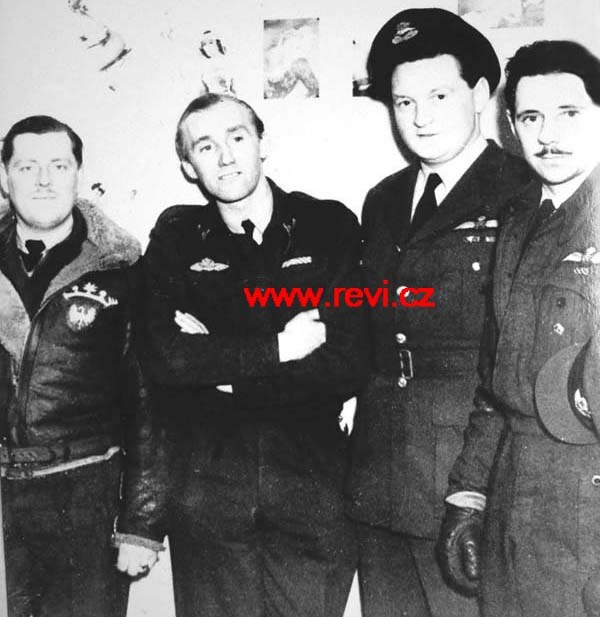 For Polish friends - no one of your fighters led British Wing in ETO ? To my knowledge the only Polish W/Cdr Flying in a non-Polish wing was W/Cdr Jan Zumbach (half-Swiss, anyway) who led 135 Wing for a couple of weeks in July 1944. The wing was part of 18 (Polish) Sector at the time, so I'm not sure if it counts as a a non-Polish one. Thank you. I thought that your officers were in the same state like CZ men, so led own Wing(s).